Carries flag of your choice for a race of your faction. With Argent Pony Bridle, pet becomes a mailbox, a bank, or a vendor every 4 hours. 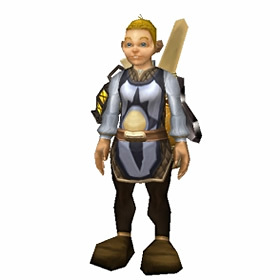 This companion is rewarded after doing several Argent Tournament quests whereby players become a champion for a specific allied race. Speak to the boy and he will display the banner of any races with whom you are an Argent Tournament champion. Additionally, if he is present when fighting a champion, he will sometimes cheer for you when you win or cry when you lose. As of patch 3.2, this pet may now be equipped with an Argent Pony Bridle. With it, the pet allows you access to a mailbox, a bank, or a vendor every 4 hours. Just for giggles I used a stone on him, but still only shows him as uncommon. Is this because he can't battle? Either way, should fix it as I'll eventually stone all non-combat pets if for no other reason I like blue better than green :P.
With the Argent Pony, I enjoy having this companion pet. The only think I dislike about it is the cooldown and the limited amount of time he'll be performing the function I choose to use him for. Even though he cannot battle, being on an rp server, though I don't rp anymore, he goes perfectly with my magic using lock "knight-errant" [made him as a parady and opposite of the character from a book, who classified magic users as evil]. Jaxal - I thought I had the same problem, until I realized that none of my balloons or kites were showing either and did some hunting. Turns out that in my pet journal filters the "Can't battle" choice wasn't selected. Once I added the checkmark back to it, the squire and others showed back up fine. I use the petjournal enchanced addon. This little guy and my guild herald and page are no longer in my journal. I got them; I had them all three a week ago. My horde version of this pet is still there, though his adult counterparts are not. It takes 8 days worth of dailies in order to obtain this companion at the Argent Tourney. Since someone asked, yes worgen can get this pet. After you complete the aspirant quests, the first faction you work for is your native faction, which for worgen is treated as Darnassus (for goblins it is treated as Orgrimmar.) 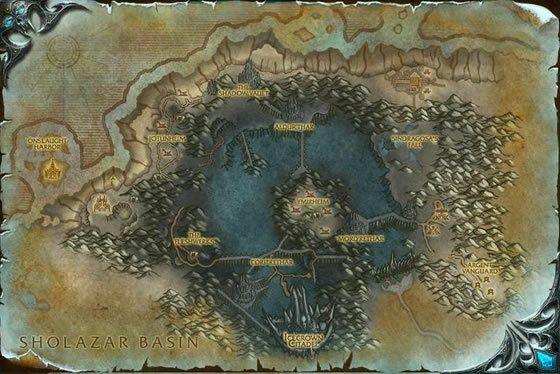 After you become champion of Darnassus, you can work towards become a champion of the other 4 factions in any order. i love this pet,it carries your flag,so you can sponser your race,and can make runs to the bank with the argent pony! after patch 3.2.2 the pony was HUGE! I would adore this "pet" if I could have chosen a little night elf child instead of a human, since I'm playing a night elf. It makes sense to me to have your squire be from your home city, and the first city that you champion, since he's a reward for becoming a champion of that city. Additionally, the pony bridle would be equally kickass if it was race-specific, so my night elf squire could ride a little nightsaber. Since I'm prone to spending ridiculous amounts of time away from major cities, ergo my bank, having this little guy and his pony was a must. Now, as long as I remember to manufacture the ammo I need, I always have access to the extra in my bank. Everyone's been telling me to get this kid a horse. "He's tired!" they say. "He's been running behind your mount from Booty Bay to the Sunwell!" they complain. So, I'm about to cave, and I ask him what he thinks about it, and what does he say? "What may I do for you, Dame?" Needless to say, tomorrow we're running from Silithus to Teldrassil. Many of Stormwind's youth joined the Argent Crusade as squires, hoping to one day serve the Holy Light in battle.